This fuss-free salad is simple, delicious and a great source of vitamins, minerals, protein & fibre. 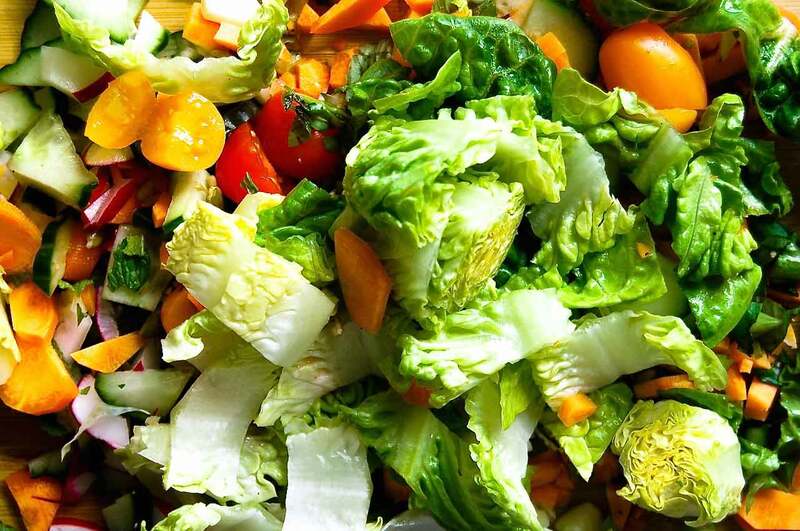 Fuss-free salad recipes are the ones that become mainstays on household menus. 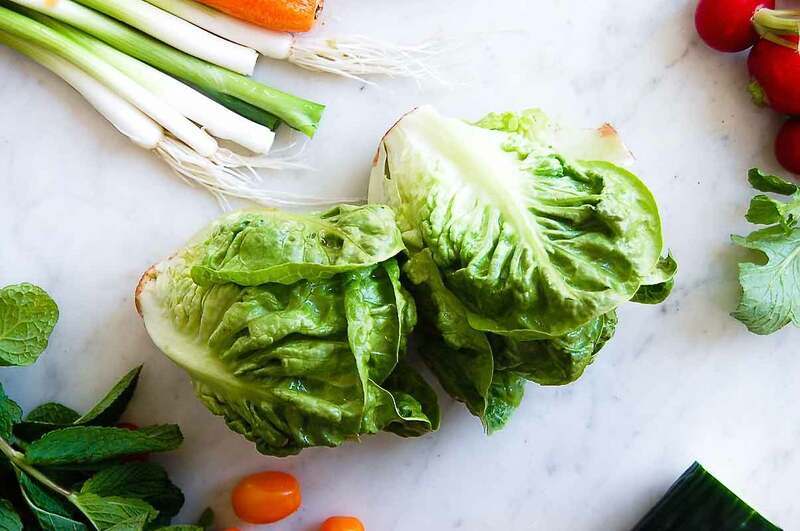 We know salads are incredibly good for us, but when they have minimal preparation requirements and still boast maximum flavour, it makes them an easy win as a nutritious meal option for any type of home cook. 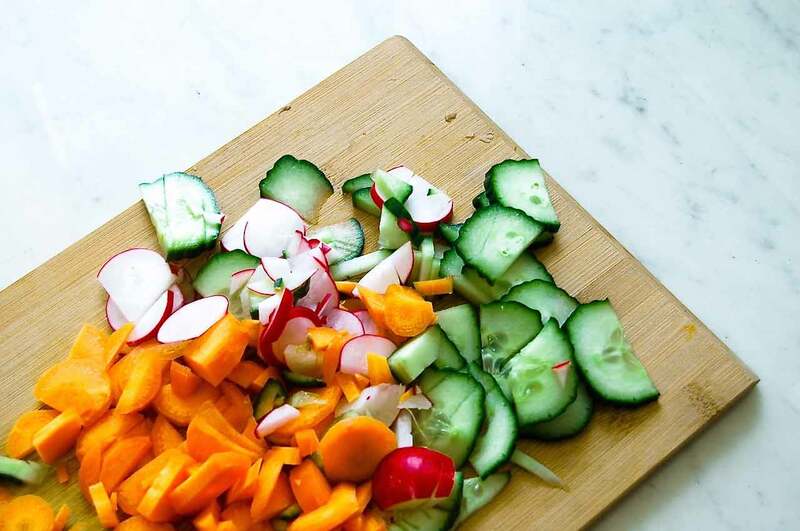 This chopping board salad required one large chopping board and no fine knife skills. You just chop everything up roughly in one go, dress it on the board and you’re ready to go. 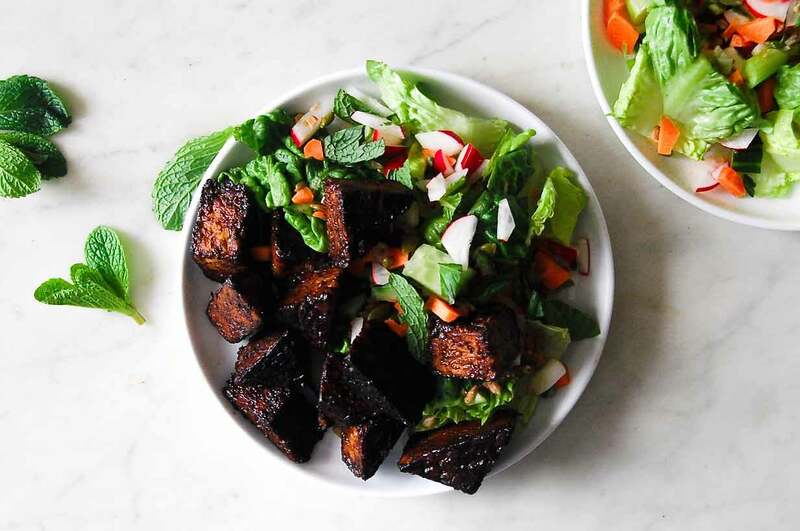 It is not only simple yet delicious, it makes the perfect base for your ultimate salad toppers which in this chopping board salad’s case, is crave-worthy maple glazed tempeh. 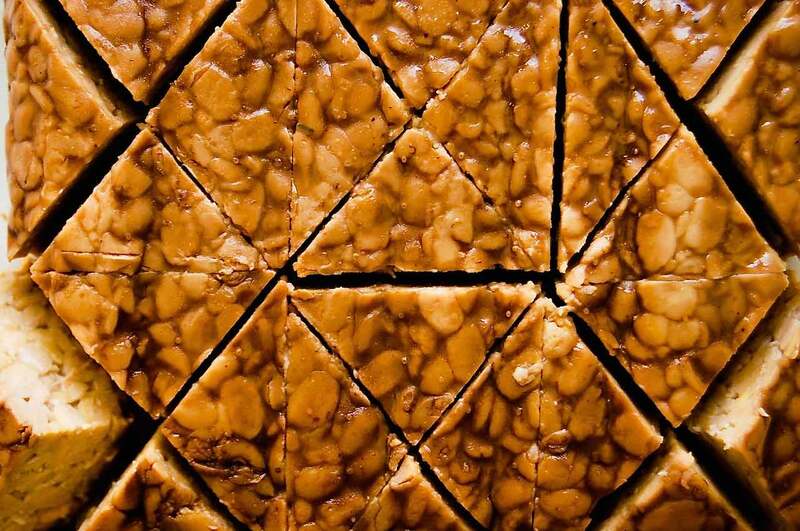 Tempeh is a fermented soybean product which uses the whole soybean to create a cake of bound soybeans through a controlled culturing process. It is a popular vegetarian or vegan protein replacement as it is a great source of protein as well as other vitamins and minerals not often found in plant-based protein sources. 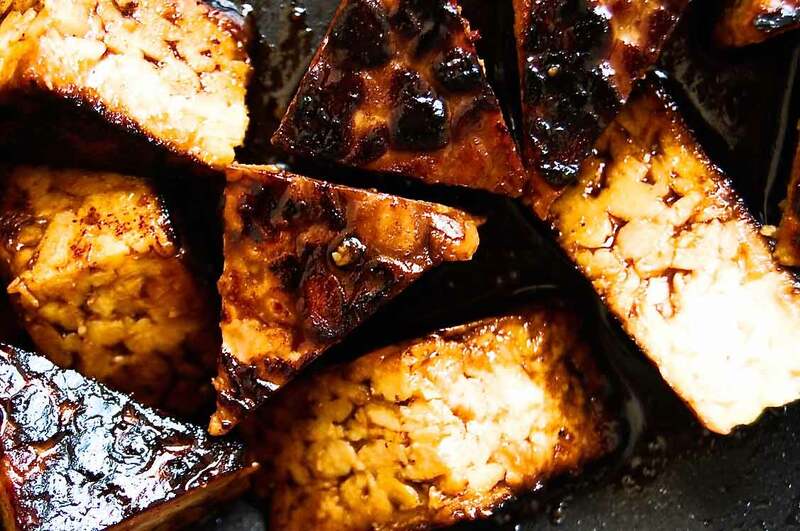 Tempeh contains high amounts of calcium, iron and magnesium as well as vitamin B12 - nutrients often low in a vegan or vegetarian diet. As well as being a great source of nutrients, it is a gut-friendly food thanks to the fermentation process it goes through during creation. Through fermentation, beneficial bacteria grow and cause the soybeans to bind. It is this beneficial bacteria, also known as probiotics, which also nourishes your digestive system when you eat tempeh. 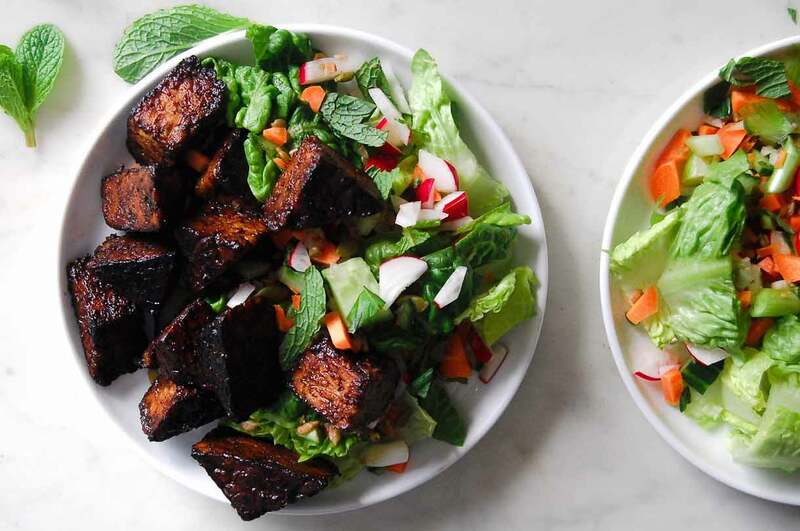 I suggest starting this salad the night before by preparing the tempeh and its marinade so you can leave the tempeh to soak for 24 hours. This will give it maximum flavour and make your salad topping even more crave-worthy. Otherwise, all you will need is an hour and a large chopping board to have this salad up and then devoured in moments.